Samsung has launched yet another smartphone running under the Android operating system, namely the recently leaked Galaxy J for the Japanese market. Samsung Galaxy J arriving as an enhanced version of the Qualcomm-based Galaxy S4. The new Galaxy device will be heading to NTT DoCoMo as a part of Japanese operator’s winter smartphone line-up. The Samsung Galaxy J features a 5-inch full-HD Super AMOLED display and is powered by 2.3GHz quad-core Snapdragon 800 (MSM8974) processor. Like Galaxy Note 3, It has 3GB of RAM.The Galaxy J includes 32GB inbuilt storage expandable up to additional 64GB with the help of microSD card. The device runs Android 4.3 Jelly Bean out-of-the-box. It sports 13.2-megapixel rear camera with BSI CMOS sensor and LED flash, while also housing a 2.1-megapixel front-facing camera. It packs a 2600mAh battery and comes with connectivity options like Wi-Fi, Bluetooth, GPS/A-GPS, NFC and even supports Xi LTE networks (Japan). 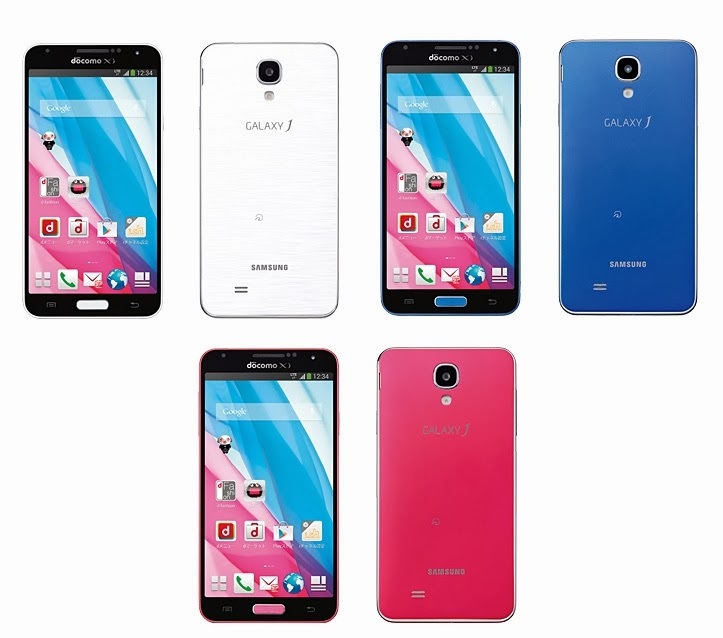 Galaxy J will be available in three colors namely Coral Pink, Satin White, and Lapis Blue. The mobile phone measures 137mm x 70mm x 8.6mm and weighs 146 grams. The Samsung Galaxy J is expected to be available by the end of October, however, no pricing details have been revealed. Further, there is no word on the possibility of global availability for the smartphone.